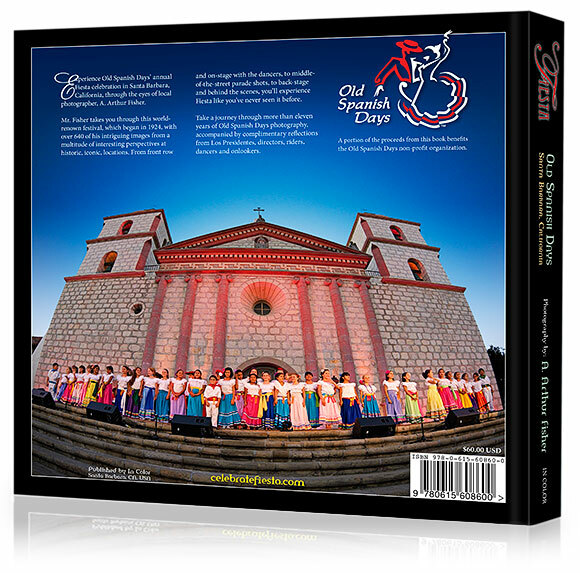 This 220 page, 12 x 12 inch coffee table book takes you through Old Spanish Days’ annual Fiesta celebration in Santa Barbara, California. This world-renown, annual festival first began in 1924. The hardbound book contains 640 intriguing photographs from a plethora of interesting perspectives and historic locations. Local photographer A. Arthur Fisher served as the Official Old Spanish Days photographer. From front row and on-stage with the dancers, to middle-of-the-street parade shots, to back-stage and behind the scenes, you’ll experience Fiesta like you’ve never seen it before. Join him through eleven years of photography of this colorful celebration, framed by editor Jim Youngson's culmination of historic quotes and contemporary retrospectives. 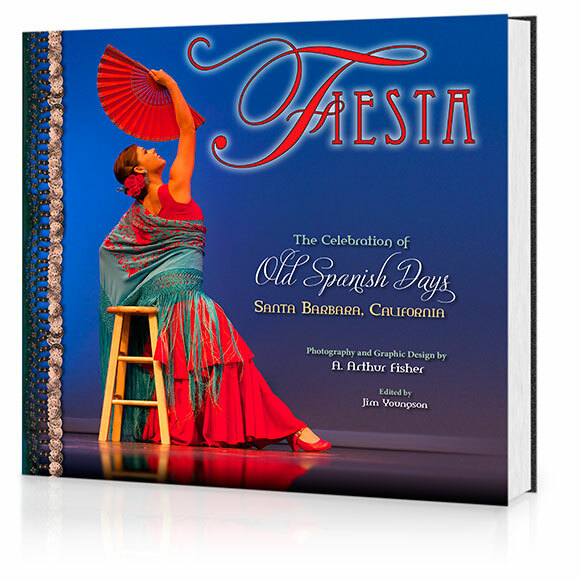 The purpose of this book is not to be a historical photographic retrospective but rather to provide a colorful documentation of what you might see if you tried to take in all the major Fiesta events of today. Foreword by Old Spanish Days. 100 books from this project have been donated to the Old Spanish Days non-profit, the organization who puts on Fiesta each year.